English Patents 3,729, 1903 ; 7,179, 1904; 27,419, 1904. F.P. 342 445. British Journal of Photography, 1907, 54, Col. Phot. Supp. 1, 88. Klein, Adrian Bernhard = Cornwell-Clyne (1940): Colour Cinematography. Boston: American Photographic Pub. Co.. 2nd revised edition, pp. 8. Wall, E.J. 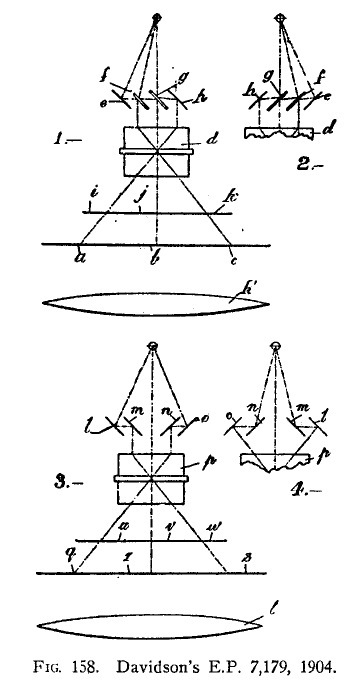 (1925): The History of Three-color Photography. Boston: American Photographic Pub. Co., p. 588. “The direct application of Clerk-Maxwell’s method, as above suggested, has obvious difficulties. Three cameras and projectors would be necessary to start with, rendering the cost prohibitive. Very few, indeed, of the methods for still-life photography could for this, among other reasons, be possible for Living-Picture work. 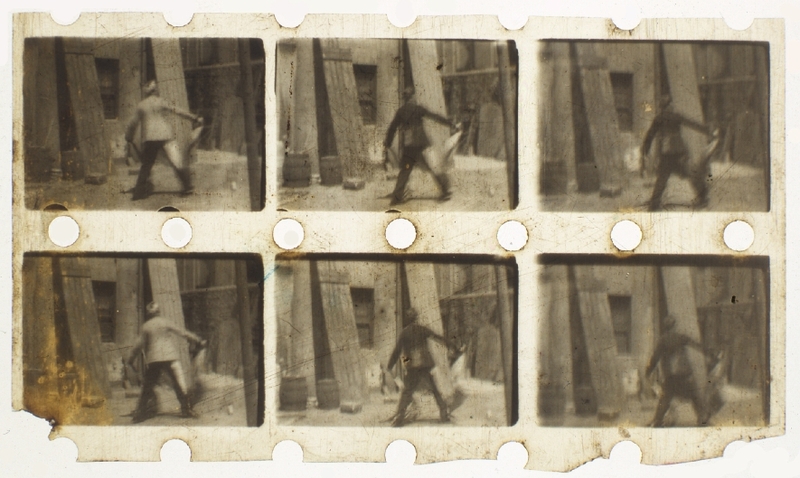 One of the earliest methods suggested for Living Pictures was suggested by Davidson in 1904. 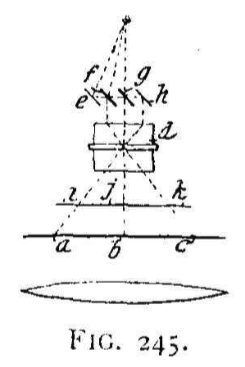 Colour filters, i, j , k, are fitted to the camera, as shown in Fig. 245, and by means of mirrors, e,f, g, h, three images are obtained on the focal plane at abc. The system may be modified for two-colour work by rearranging the filters and mirrors.